Frightening Fun in Store this Halloween Season at Aftermath Haunted House! COHauntedHouses.com recently sat down with Jaycee Biby of Aftermath Haunted House, to discuss what's new at the haunt for the 2018 Halloween Season! 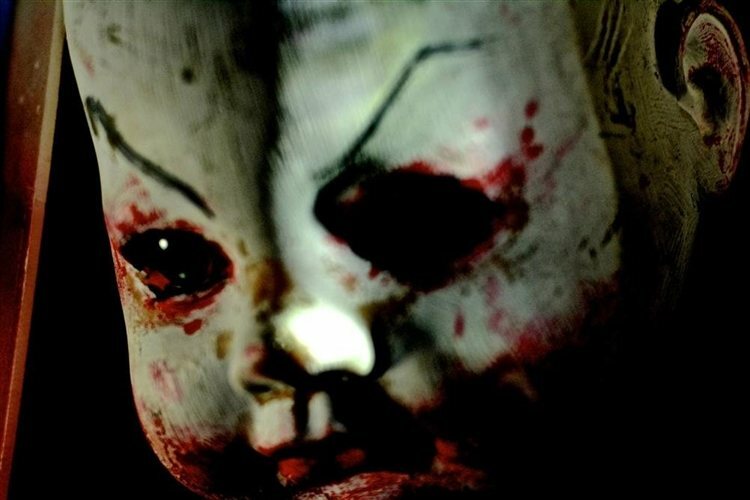 Located in Canon City, this haunted attraction isn't for the faint of heart. Read below to find out what's in store for this year! What's new at Aftermath Haunted House for 2018? Do you have any new rides, attractions, or special features that Haunt Seekers should know about? On top of a completely renovated haunted house,this year we are offering an experience like no other! We have teamed up with Combat MTN tactical laser tag, to bring our guests... Zombie Laser tag! Our guests will have an opportunity to compete against each to see who would be the ultimate zombie apocalypse survivor. All four nights we are open we will also have a live DJ spinning tunes for those in line and playing laser tag. Also weather permitting, after you have gone through our terrifying haunted house, you will be able to sit down and relax for a bit next to a huge bonfire! Aftermath 2018 is going to be the best and biggest year yet! We have switched up added and extended our haunt to make it bigger and scarier than ever. We are excited to see some of the same faces we have been seeing for years, and very excited to see the new faces of those experiencing Aftermath for the first time. And not their normal face, the one they make when they are terrified. What differentiates Aftermath Haunted House from other local haunts in Colorado? I think the fact that we don't try to be different, it's just come naturally to us. We have a unique space, and use it well. We don't care what other haunts our doing, we simply focus on our haunt, room by room, and make sure we create the most wicked stuff we can come up with. We love to make our guests wonder, before, during and after they have experienced Aftermath Haunted House. How long has Aftermath Haunted House been in business? Can you tell us a bit more about Aftermath Haunted House's history? The Canon City Area Parks And recreation has been putting on Halloween Events for a long time. It first started out as a haunted trail on the Canon City River Walk. After a couple years of that, we migrated and started to use this old property and trail. We operated as a different name then, until Coming up with Aftermath Haunted House in 2011, and have been going strong ever since. What's your favorite experience since opening Aftermath Haunted House? For me personally I have so many it's hard to narrow it down to just one. The whole crew at Aftermath eat, sleep, and breath Haunted houses, so we love every scream, cry, and shriek we get. How long is a typical haunt experience at Aftermath Haunted House from start to finish? I think like most Haunted Houses it can last as long as the guest wants it to. We have some tricks to make you slow down and speed up when necessary, but everyone is different. The average time spent in Aftermath can range from 25 to 45 minutes depending on the group. On a scale from 1 to 10, how scary would you say Aftermath Haunted House is? Why? Without a doubt it's a 10. We have received reviews from Spooky Colorado for the past few years and have received a 10 out of 10 scare factor on each review. Those are people who travel to different haunted houses across the state and write reviews on the haunts. Also the reviews we have received on Colorado Haunted houses all had 5 out of 5 scare factor. We don't just think we are that scary, we let people tell us we are that scary. We play on every fear imaginable, to make sure we have a scare for everyone. The human mind is an amazing thing, and we do our best to unhinge it. Does Aftermath Haunted House's property have any real haunted history? Do you have a spooky encounter you'd like to share? The crew at Aftermath has been in the scare game for quite a while. For some of us It started as a home haunt for trick-or-treaters on Halloween. We took that passion and joined forces with the Canon City Parks and recreation and created this Amazing haunt. The creativity, as sick and twisted as it is, is our favorite. Taking an idea and bringing it to life...and then watching that idea make people scream, and tremble in fear. It's a good feeling. How has new technology (i.e. animatronics, special props, etc) helped you to enhance Aftermath Haunted House? We really don't use a lot of animatronics, and special props. Most of what we use, we make ourselves, so we don't have to rely on technology. We take a lot of pride in the fact that we don't go out and buy all the fancy new gadgets, but still continue to produce one of the best Haunted houses in Colorado. Can Aftermath Haunted House accommodate large groups? How many people can experience Aftermath Haunted House together as a group? Aftermath Haunted House is best experienced in smaller groups. Does Aftermath Haunted House offer any special deals, discounts, or coupons? Currently the only discount we offer is our combo ticket, which is $25 for both the haunted house and laser tag. Anything else you'd like to let us know about Aftermath Haunted House? If you want to know more, you will just have to come and see us!